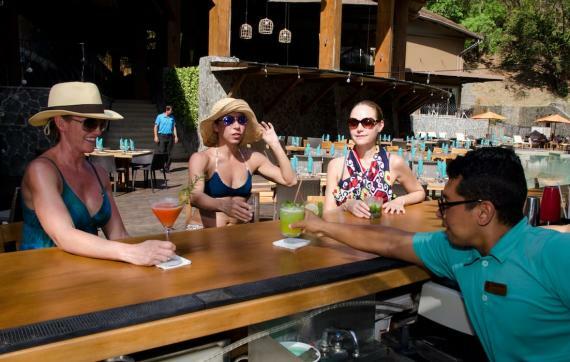 Our restaurants, bars and beach club. 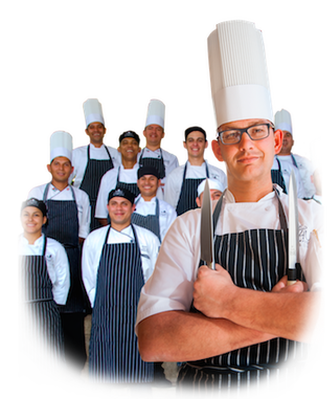 An All-Star team of private chefs, is close to you right now, ready to upgrade your days with private cookings and high end services. Family gatherings, in-home dinner parties, buffets, brunches, appetizer parties, sunset cocktails, cooking and mixology classes. 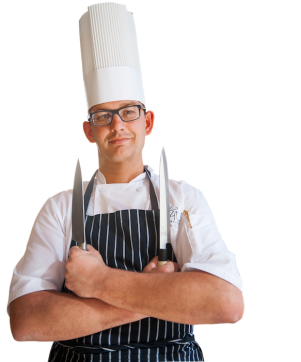 Chef4U will be there… for you. At your Villa, your yatch, a beach or wherever you want us. 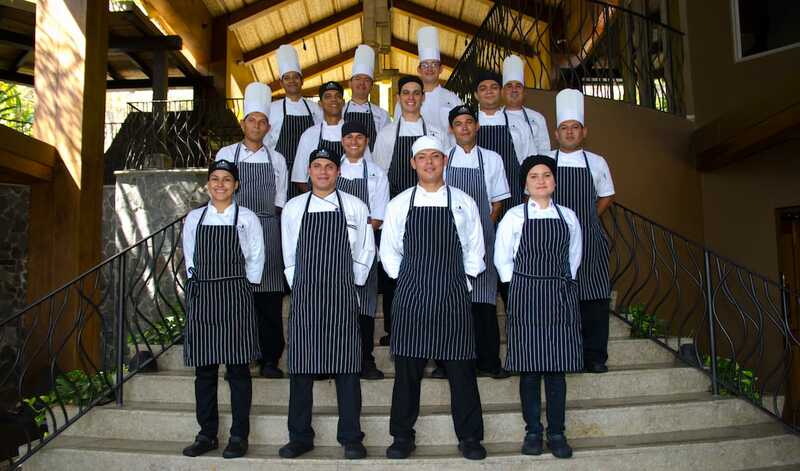 A great team of chefs, an extensive staff, of in the hands of Head Chef Nicolas Devenelle, CHEF FOR YOU is simply the best private chef team in Guanacaste. We are more than happy to customize your event to suit any need. 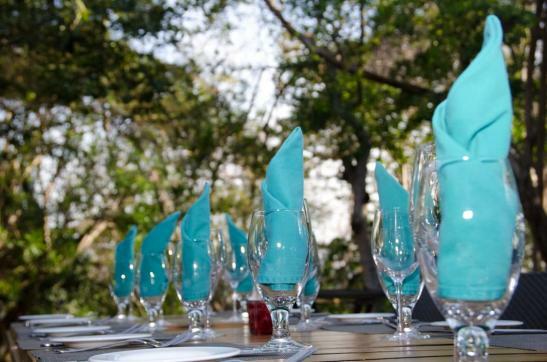 From the menu design to the table settings, Guanacaste Chef4u will personally work with you to create a memorable occasion in the convenience of your home, vacation home, or an event location. 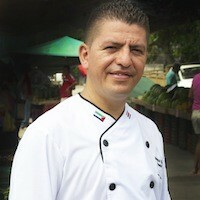 Guanacaste Chef4u provides premium private chef services in the beautiful Guanacaste area in Costa Rica. Our services are the perfect solution to your culinary journey from a romantic dinner for two, to a large special event like weddings, big family reunions or corporate events. 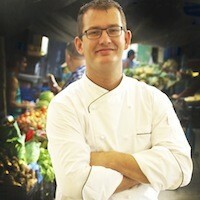 A globetrotter from Europe to North America to Costa Rica, learn what makes Chef Nicolas so unique. 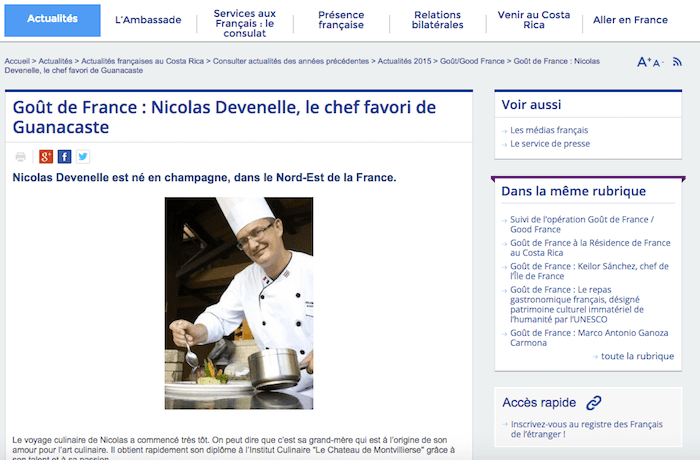 Nicolas Devenelle was born in historic region of Champagne in the northeast of France, best known for the sparkling white wine that bears its name. Nicolas culinary journey began at a very early age. One can say his grandmother is the reason why Nicolas love culinary art so much. He got his inspiration and his first tricks by spending countless hours by her side in her kitchen helping her. 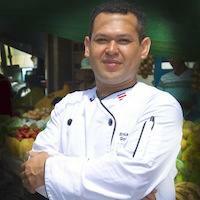 His talents and passion for cuisine inspired him to graduate early. At 15 he started his first Chef school at lyceum “Jean Moulin” in Beziers (Mediterranean coast) for 2 year. He later graduated from The Institute of Culinary “Le Chateau de Montvillers”. Right after graduation he said “au revoir” to his beloved France and began a journey that would take him around the world working for some prestigious companies such as; Harrods Food Hall in London Knightsbridge and the The Four Seasons Hotel in Mayfair London. From 2001 until 2003 Nicolas was one of the lead Chefs at The Restaurant a 5 diamond restaurant part of the Four Seasons Resort in Palm Springs. 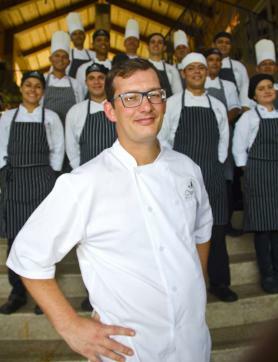 2003 saw Nicolas arriving in our beautiful Costa Rica for the grand opening of the Four Seasons Resort & Spa at Peninsula Papagayo, Guanacaste where he served as the Banquet Chef. 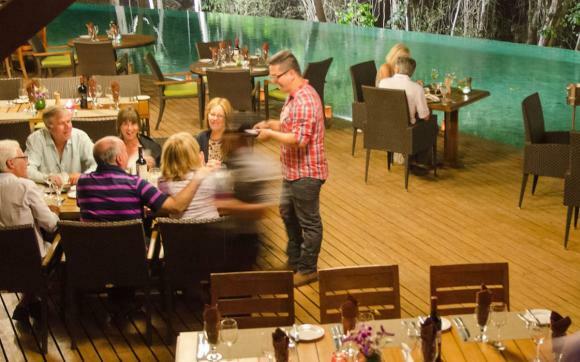 Today, as the leading force behind Chef4u, his company specializes in creating unique, unforgettable and delicious dinning occasion for both local and visitors. 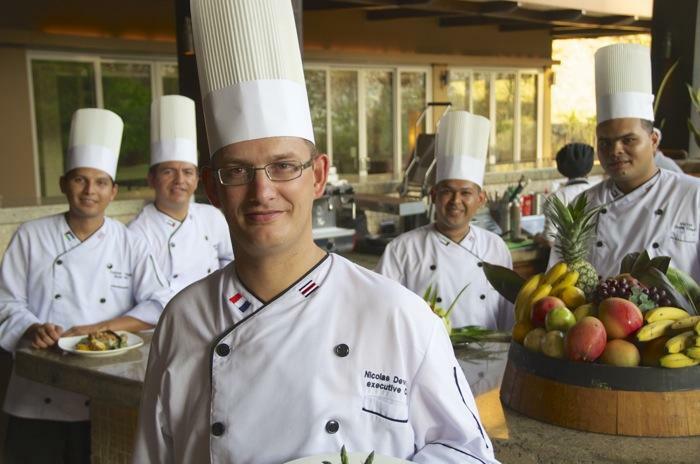 Nicolas’ dynamic cooking style is a global celebration, making him the private chef Guanacaste prefers. 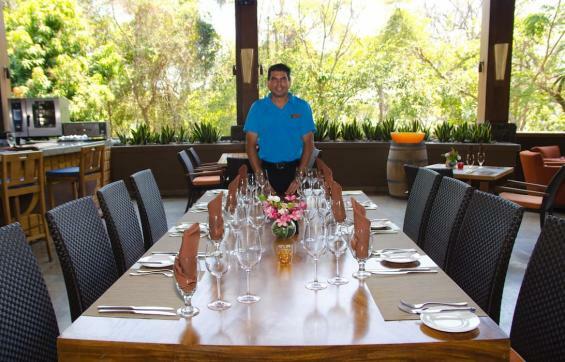 From intimate dinners to elegant events, Nicolas’ style and charisma shines bright through his meal preparations, artistic plating, wine and menu pairing and stellar service for each dinning event. Maykel was born in the small yet greatly respected province of Heredia, Costa Rica, affectionately known as “The City of Flowers”. 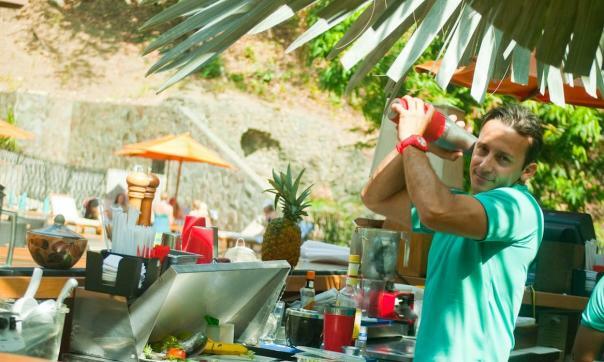 His culinary journey started at the beautiful Villa Caletas Hotel, where he worked as a chef for 5 years. 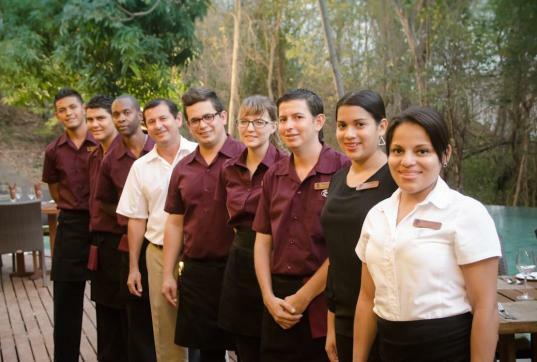 Another 5 years with Marriott Los Sueños will passed before Maykel will finally arrive in beautiful Guanacaste. 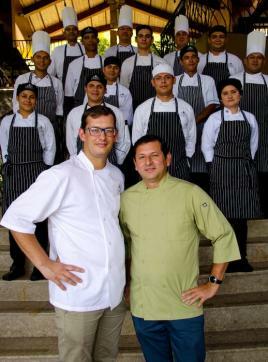 When the Four Seasons Resort and Spa in Peninsula Papagayo, Guanacaste was about to open its doors in 2004, Maykel joined their team, where he was able to work aside with 5-star chefs from Mexico, Italy and France, therefore expanding his knowledge on the different styles of world cuisine. Gold Chef and Sushi Master. 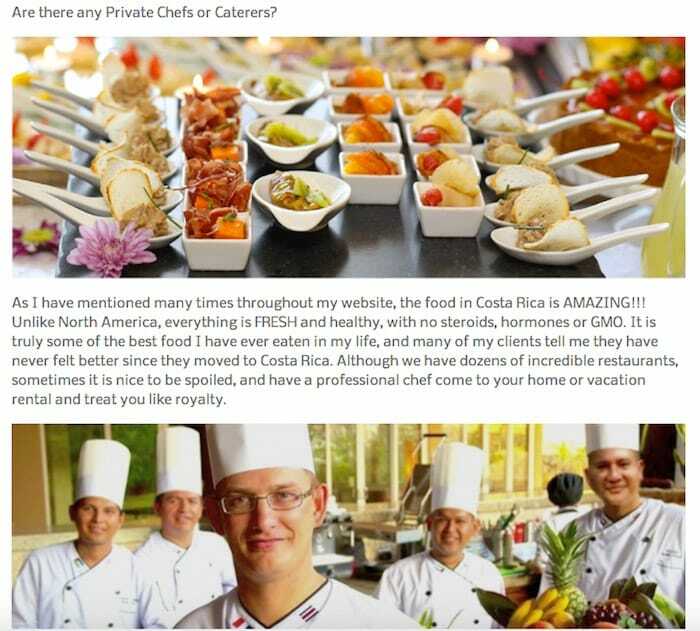 Before joining the Chef4U team as a Gold Chef, Erick worked for some of the most prestigious hotels and resorts in Costa Rica including Arenal Springs Resort & Spa in Arenal and Exclusive Resorts in Peninsula Papagayo. A native of Guanacaste, Costa Rica´s Gold Coast, Erick started his professional career as a steward for the Paradisus Playa Conchal Hotel. 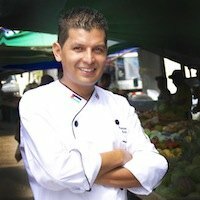 In 2000 he graduated as Chef from INA (National Learning Institute) in Costa Rica and by 2005 got his certification as International Chef by WACS (World Association of Chefs Societies). We are an extensive and creative team of chefs, maitres, mixologists, waiters and waitresses...in constant movement and ready to serve you. TankTopsFlipFlops: Local blog for expatriates. 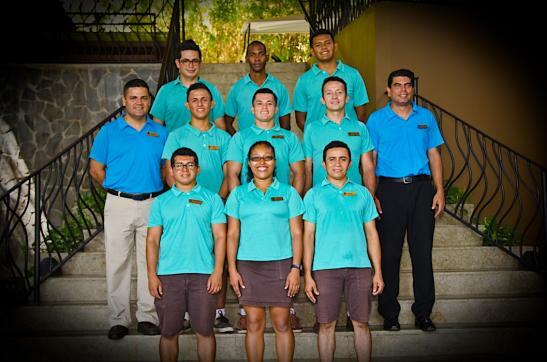 Featured by the Guanacaste Chamber of Tourism(pages 8-10). 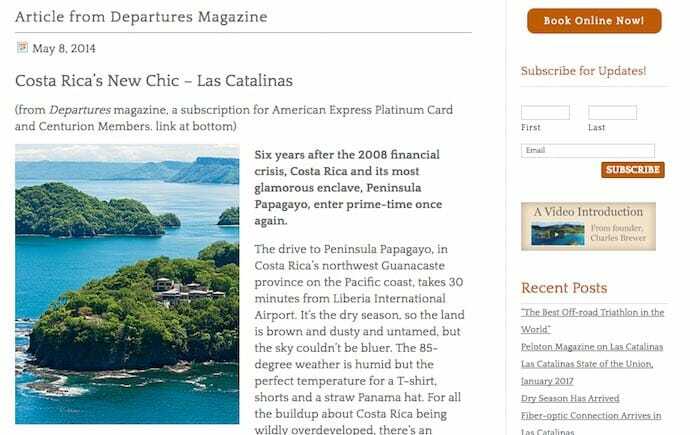 Las Catalinas and Chef4U at Departures Magazine. Click image below to open Las Catalinas website or here for the Departures Magazine article. Chef Nicolas delighted us with his healthy and creative dinners. Delicious, beautifully presented and a spotless kitchen. A dream come true for our family and friends. Chef Nicholas makes magic in the kitchen. His meals are extraordinary and always presented in a very creative way. Every dinner was a treat! 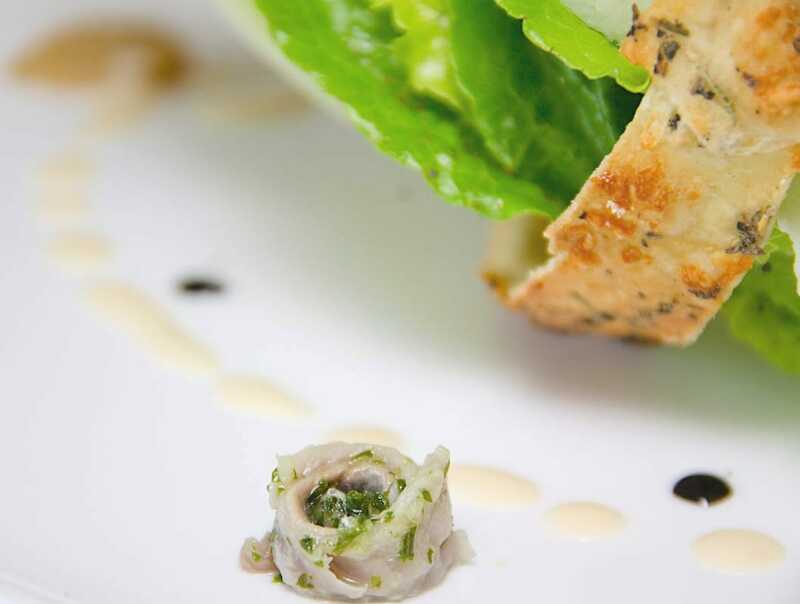 The acclaimed French Chef Nicolas Devenelle and his extensive team of professionals are always creating culinary innovations to refresh the senses of foodies living or visiting Costa Rica. Are you ready to enjoy a chef for you? Chef4U team is ready to serve you!